Inspired by a sister with autism, another sister who teaches students with autism, and an aunt who worked with students with special needs, I have worked in the autism field for more than 20 years. I have had the privilege of working with children and adults with autism and related disabilities, their families, schools, and other organizations. Currently, I am a consultant working with school districts to support students with autism, their teachers/staff and families. This gives me many opportunities to work directly with students and also find innovative ways to serve them in the context of the classroom. Most of my blog posts, products and books are born out of experience of what works in the classroom and a need of a teacher or a student. I design and provide professional development for school districts and have presented at a myriad of conferences. I earned my Ph.D. in clinical psychology with Edward G. Carr at SUNY at Stony Brook in the early years of nonaversive interventions for challenging behavior. I have worked in a variety of settings including community outreach, academia, education, and clinic settings serving individuals with autism and other developmental disabilities. I had the pleasure of working for 13 years at Nova Southeastern University’s Mailman Segal Institute in a variety of roles including as the Director of the Therapeutic Intervention Program for children with significant behavioral issues and autism and as a consultant for the Autism Consortium providing consultation and training to school systems across the country addressing the needs of students with ASD. In my last few years at Nova, I served as the Director of Academic Programs and developed, in collaboration with Dr. Kabot, the autism master’s and doctoral course series in the school of education and the applied behavior analysis concentration in the MS Counseling program. When moving to Florida, I also became a certified behavior analyst and am now a BCBA-D—a Board Certified Behavior Analyst-Doctoral Level. I have presented to a variety of audiences across the country on positive behavioral support, classroom organization and design, educational strategies for students with ASD, and other related topics. My mission is to develop practical applications of evidence-based interventions in schools and homes for students with ASD. I currently serve on the Panel of Professional Advisors for the Autism Society. I have written several books that you can find on the book tab and that include books for children and books for teachers and staff. I also teach autism, ABA, and single-subject research design graduate classes at Nova Southeastern University as adjunct faculty. The rest of the time, I write this blog, create products for teachers and families working with students on the spectrum, write books, spend time with my family, and ride my bike whenever I have time. Chris, May I use your abc form for behavior. It is the best one I have seen. I noticed at the bottom of your form I needed permission to use. I am a special ed teacher. I teach children with autism. May I have a copy of this. Paula, you can definitely use it–I just don’t want people copying it and sharing it as their own ..it’s designed and offered as something for teachers to use. I am coming to you becuase I do not know what else to do. I have a student who screams. He screams sometimes when he is frustrated. Mostly, he directs his screams at another specific student in the classroom; a student who is harmless, makes very small noises that I don’t always hear, and is otherwise practically non-verbal except for echo. The student who screams will walk in the classroom and look for his target and then run towards him and yell at him that he can’t be here and that he has to go home. On the few days the target student is absent or leaves for the rest of the day, the screaming is minimal but not completely gone. I have talked with his previous teacher and his parent who both say he fixated on a particular student while at his previous school. This student is a twin. His brother is also on the spectrum and exhibits other behaviors. They have many problems and it is not safe to have them in the same classroom. His parent reports that since coming to my classroom they have seen dramatic positive changes in his behavior at home. I have provided a sensory box, a quiet place, white noise, various weighted items, hand fidgets, foot fidgets, headphones, music or noise in headphones, preferred tasks, both written and active, various ways to calm himself, both visual cues and verbal cues and anything else I or the autism specialist and behavior specialist can come up with. The only things that seem to work are iPads and/or extreme weather videos but these items cause him to withdraw or disengage from the classroom and associated activities resulting in loss of teaching time or learning times. If you could provide any ideas or suggestions that might help, I (and my team and other students) would really appreciate it. Just thought I might try to have someone from the outside take a quick look. Hi Michelle, I would say that most important step would be to assure you have a good functional behavior assessment to determine if the function of the behavior really is sensory. Sometimes things seem like a sensory function but they really function for another reason (or more than 1). Once you have a good solid FBA it should give you direction about what makes the behavior happen less often and what it could be replaced with. I’m sorry I can’t be more specific but without knowing him it is hard to give useful suggestions. I am enjoying your site. I am a behavioral specialist in my school and I was intersted in your A-B-C data chart. I have tried several , but I am trying to find one that is effective and not time consuming for my teachers should the need to fill out one. Good evening Chris. I work with children, teen, young adults and adults with autism at a library setting. I am with Libraries and Autism We’re Connected, but I do more than assisting with books. I work with individuals and groups through manipulative activities in the library. I use individual IEP or parents/caregiver desires. I will be using some of your free materials for my activities. I love your program!! So much to offer individuals on the spectrum…glad to help! Hello! I am currently a university student majoring in Art Education and am working on a case study involving ASD. I’m having trouble citing your page. Would it be too much trouble to ask for your full name? I am beginning a career as an RBT and have not worked with any clients as of yet. I wanted to ask, what are some introductory ideas for the first initial session? I am very nervous to meet with a parent, hopefully gain a new client, and have no clue as to what to do once I am there. Also, I decided to pursue this career due to my own toddler being on the spectrum. What are good ways to teach my son? I have tried some activities with little success. Thanks! Congratulations on your new career! I would say take time to get to know the parents and the client. Pair yourself with reinforcement from the beginning, for both of them. I would talk to your supervisor about specifics for the session. 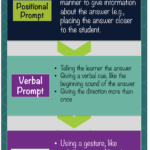 Throughout the blog I have posts for all different types of students and needs that you might find helpful for your son. Good luck with your new job! My last name is Reeve. Good luck on your paper. I am trying to see if anyone knows of a website that might be similar to YouTube, but for autistic children? I work with a student that was receiving YouTube time as a reward, and it worked really well. But some of the videos the student was drawn to were really dangerous science projects, and we were concerned that the student might attempt to recreate one of those science projects on their own. In fact, we caught them stealing materials used in one such science project. They no longer get YouTube time as a reward, but it occurred to me that there might be a resource, website, etc. that might let parents/teachers select and control what videos can be watched. YouTube does have parental controls, but these are easily gotten around and disabled. I have considered just downloading appropriate videos to a device and then disabling WiFi, but I won’t be able to put many videos on a device due to our devices’ small internal storage size. Any help/suggestions anyone can offer would appreciated. Thanks! I’m sorry I don’t know…but perhaps someone will share something. Thanks. even teacher don’t want to understand her behaviour she has isolated her make her sit alone as here in the place we stay it’s very difficult to make them understand about sensory behaviour. Unfortunately I cannot provide advice about specific students, ethically, without knowing them. I think it might be helpful to find a certified behavior analyst in your area who can help you and perhaps work with the school to help them address it as well. I have a 23 year old daughter with Autism. Every time it rains, (or she thinks it is going to rain) she gets extremely upset perseverates on it for days. It is not that she is afraid of the rain, it is that she gets upset because things get cancelled. She recites dates from years and years past when things got cancelled due to the rain. We have tried to redirect her, tried social stories, but none of it has worked. She looks at the weather constantly. If something is scheduled even two she out she will start asking “what will the weather be on July 31st” or whatever the date may be. I really want to help her because she just gets to sad and cries all the time about this. It breaks my heart. Unfortunately I cannot give out advice about specific students without observing and assessing them. I really can’t say without knowing the student. There is no generality when it comes to students’ behavior. It really depends on the functional assessment of the students’ behavior and what responses may reinforce or extinguish the behavior. Hi, Chris. I’m with Scholastic Teacher magazine and we are interested in featuring great teachers and classrooms in our pages. Most immediately, we’re looking for a special needs classroom for our Cool Classrooms feature. If you can help to refer us to someone, that would be great. And I’m sure we’d love to talk with you about other special needs issues in the classroom. Please email me at the address below and I’ll tell you more about the Cool Classrooms feature, and send images of some previous stories. I am a teaching a new autism classroom (self contained 3&4 yr old students) and I could really use some help. Do you ever hold conferences or workshops? I’d like to apply for a grant to attend one. 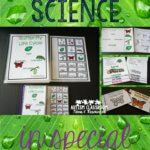 I read your posts, blogs, buy the TPT materials but it can all be so overwhelming especially when I have no co-teacher or other teacher in the building that teaches an autism class (I’m the only teacher in our district who doesn’t have a co-teacher). Attending a conference where ideas can be discussed, new things can be learned, etc is just what this teacher needs. Help…I’m drowning! Do you have any resources you can share, ABA instructors etc for a 10 year old in Chicago Il? I’m sorry I don’t have information about instructors in other areas of the country. Did I miss your ideas for independent work to do at that fabulous set up? I am a special education teacher looking for more ideas to use during independent work with manipulatives. 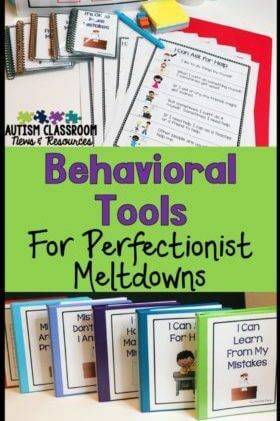 You didn’t miss it…but I do have tons of posts specifically about the tasks…you can find links to them all here: https://www.autismclassroomresources.com/workbasket-wednesday/ Hope that helps! I work in a library and we are getting ready to build an addition. In the addition, we will have a storytime room that I hope can serve as a comfortable place for people with autism and their families to go if the atmosphere in the library bothers them. I have been looking for a consultant for the room design and set-up. Could you please give me some advice on set-up or who I may contact locally that can help? We are located in Kentucky. What about contacting the Kentucky Autism Training Center in Louisville? Here’s their website: http://louisville.edu/education/kyautismtraining. I know that this is something our autism center at Nova had done with our local library on campus and they may have someone there who can help you specifically with it. Thank you for the quick response. I have tried to contact the training center with no luck in getting a response. I will keep trying though. Hi Chris! I am an educational specialist in Texas and would love to get in contact with you about possibly coming to do a workshop this Summer for our Special Education Conference 2018. If you have a moment to email me, I would greatly appreciate it! Our PreK Autism Teacher Advisory Council in Raleigh NC is researching assessment tools. We currently use Teaching Strategies Gold and PreK Structured Teachers are frustrated with it. Do you have assessment tools you have found appropriate for preschoolers with Autism? I really ike the Strategies for Teaching Based on Autism research (STAR). I like using it as a curriculum based assessment that leads directly to instruction. I am so impressed with this. I have spent the last 10 or so years working with students with Severe Disabilities and my heart breaks when I walk into a room that focuses on only Academics. Functional life skills means so much to me and I hope to see them become a staple in our primary programs soon. I know if these were implemented our kids would be and feel more success. Thanks Penny! And thanks for all you do for your students! We were just referred to your website by a teacher at Hofstra University. I am a parent in the Long Island area trying to design a home program for my early teen son due to a lack of placement. He is one of the “in between ” kids that is not too high functioning nor too low. He has developed several behaviors over the past couple years that need addressing as well as furthering his functional academics. Would you be able to recommend any BCBA’s in the area, or any special ed teachers with an autism background, that might be available to help us design this? It’s always been a challenge and uphill battle, and we really appreciate any help you can offer. Unfortunately I am not familiar with practitioners in your area. However, if you go to this link at the BACB website, you can put in your zipcode and find certificants. https://www.bacb.com/find-a-certificant/ Best of luck with your son and thanks for reading! Hi, Chris. I found your blog the other day when I was researching strategies for an Instructional Coach Playbook. I love how you use language that the majority can understand and you describe the strategies with simplicity. 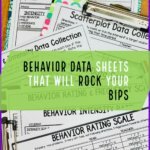 I have really loved reading all of your posts about shaping behaviors. Thank you!!! I have been a Special Education teacher for almost 15 years. I am currently working on my Master’s in Curriculum & Instruction with a focus on Special Education Instructional Coaching. I’m currently working on a Playbook for Special Ed. Teachers.